Koh Rong is an up-and-coming destination in the global travel market. Its 23 amazing white-sand beaches and azure seas are only just being discovered and enjoyed, making it still very much an unspoilt paradise. 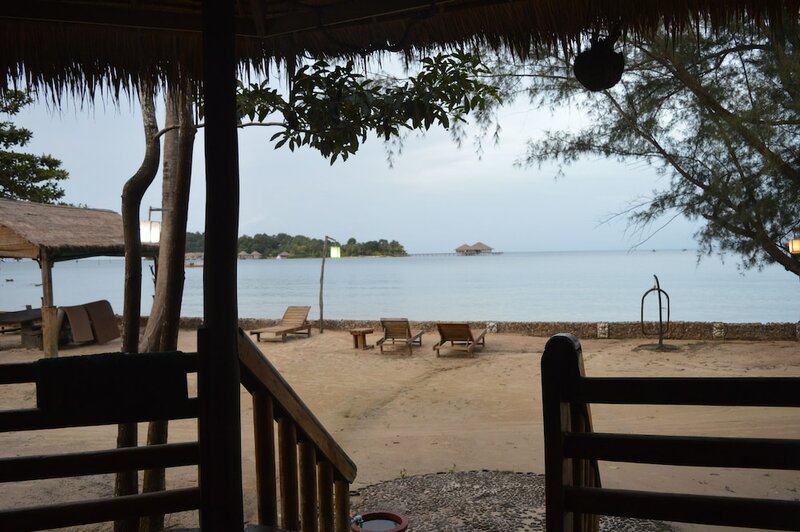 Situated just off the Cambodian coast, near Sihanoukville, there are five tiny islands in the area, though three are uninhabited. Of the other two, Koh Rong is gradually becoming a bit of a party island, popular with backpackers, while Koh Rong Sanloem has a quieter and more easy-going atmosphere. While there isn’t much on the islands yet – other than those fantastic beaches – we have assembled all of the essential information about the best things to do, what to see, where to eat and party and, of course, where to stay on Koh Rong. Take a look and prepare to enjoy the ultimate getaway beach holiday in Southeast Asia. Koh Rong is only just emerging as a holiday destination in Cambodia, and is still famous and loved for the fact that it's relatively undeveloped. However, there is already a pretty good range of accommodation available, from high-end private resorts to low-cost guesthouses and beach bungalows. With only one or two exceptions, staying on Koh Rong is extremely budget-friendly, but there is quite a bit of variety available, so check out our lists of the best hotels available to find the place which best suits you and your needs. Being a fairly remote island getaway, there are a few important factors you need to consider before travelling to Koh Rong: How do you get to the island? How do you get around? When is the weather at its best? Are there any ATMs? What do you do in the event of an emergency? Will you be able to get on the internet? Fortunately, all of these questions and more are answered in our Koh Rong travel guides. Be sure to read them carefully to avoid any unpleasant surprises.